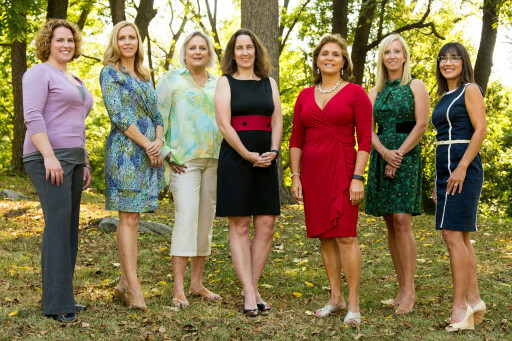 The Women’s Giving Circle launched in 2003 as a way to encourage women to become more involved philanthropically in Washington County. It provides a unique opportunity for donors to join together, contributing as little as a dollar a day ($365 a year), to promote and support programs and organizations that enable and empower women. One half of all yearly contributions go to work immediately through the granting process. The other half is secured in the endowment fund to ensure growth and perpetuity. Girls with incarcerated loved ones receive support. Women entering the workforce obtain professional attire. Homeless women sleep peacefully at a local shelter. GED and English language classes are funded. Transitional housing needs for women and their families are provided. STEM summer camps are accessible for girls from low income families. “The Women’s Giving Circle funding has provided opportunities, experiences and programs for girls that focus on the development of the “whole” girl; not just intellect but the development of each girl’s emotional, physical, social and artistic potential….and for that, we are so grateful!” said Maureen Grove, executive director for Girls Inc. of Washington County. Join other WGC members and friends for conversation, education, and inspiration at Rucola Real Food Restaurant. Addie Nardi will share stories about the work of The Boys & Girls Club at this event sponsored by Middletown Valley Bank. Space is limited, so register early! Stop by our booth at Robinwood to say hello before making the rounds to learn more about the many charitable organizations and volunteer opportunities in our community. Support the Women’s Giving Circle and other local charities on this exciting day. Sign up here for more information about the Women’s Giving Circle or Like Us on Facebook! Please contact Chairperson Karen Coyne at womensgivingcirclewashco@gmail.com.